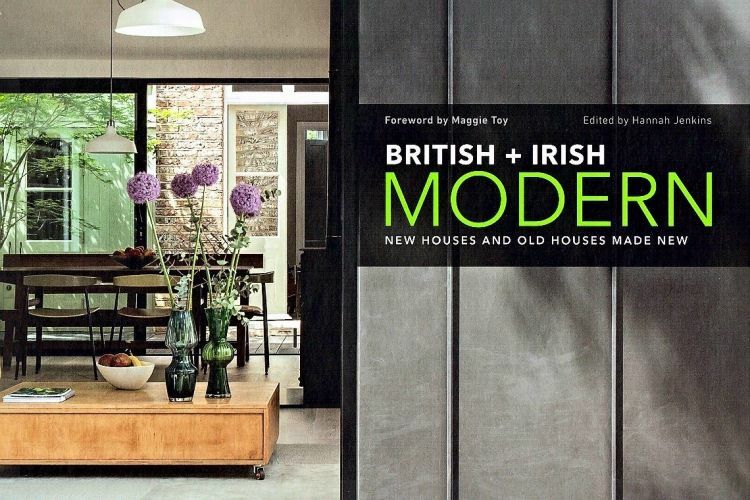 Our project, Scenario House, has garnered the interest of the press, our clients and now a publishing house who have included the project in their recent book ‘British + Irish Modern. New Houses and Old Houses Made New’. Edited by Hannah Jenkins with a foreword by Maggie Toy. Beginning with ‘Texas Modern’ in 2017 the second book in The Images Publishing Group’s Modern series focuses on residences in different regions of the world. A collection of houses in England and Ireland by well-known architects and emerging designers alike, the book serves to highlight the contemporary trend of merging the traditional local aesthetic and up-to-date design, materials, and construction. “Scenario House was purchased with the intention of completely renovating, extending and adapting to the scenarios of the architects’ own family life. It presented them with an opportunity to practice their design principles on a more personal level. 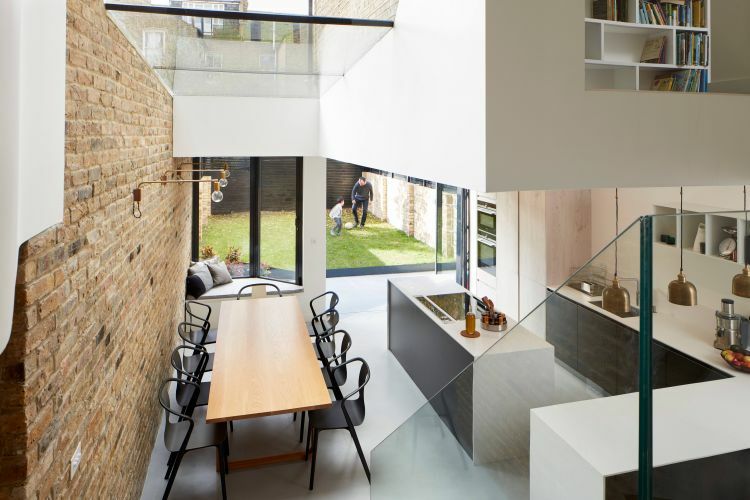 “The main design challenge was finding a way of physically and visually connecting the front part of the house, originally two separate Victorian reception rooms, with the basement level, which was a full floor height below. “The design brief was created with consideration for both current and future scenarios, and a conscious effort was made to use every available space the house had to offer. This meant using spaces under the stairs, in the eaves, in hallways, and limited height areas. “One such space included the relatively low-ceiling height area caused by the lowering of the reception above. This presented an opportunity for a fun and practical children’s area. A storage unit under the stairs, complete with a pull-out table and bench, invites the children to spend time playing or doing homework and artwork in a designated but connected part of the home. 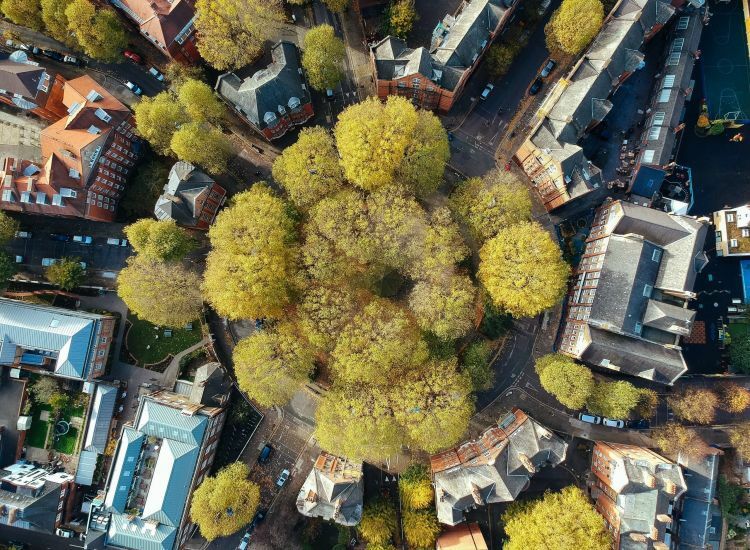 House design in Britain and Ireland is guided by climate, landscape and local resources just as much as the centuries-old traditions that have influenced architectural shape and form. Today’s best-known and emerging architects interpret their briefs with imaginative flair: they are transforming houses for the next generation of families by blending their renewed vigor for a local aesthetic with new materials and trends. 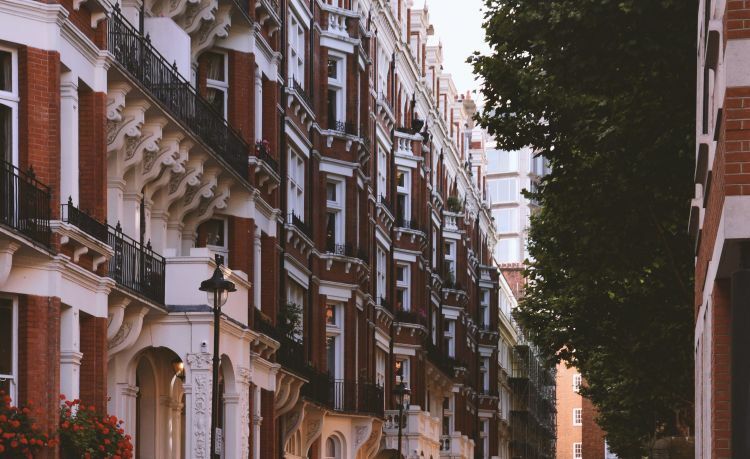 Many of the new houses featured in British + Irish Modern reflect the architect’s focus on redefining local expectations for form by beautifully juxtaposing the traditional with contemporary structures, thus forging a new vernacular. Architects across this region are wholeheartedly seeking opportunities to re-use existing structures in myriad ways, resulting in surprising and remarkably unique renditions of old houses and buildings made new. Shown in stunning, full-colour photographic detail are hundreds of pages of new and renovated houses, cottages and even converted barns nestled in misty rural valleys, including new and retrofitted modern inner-city terraces and townhouses that make the best use of available space. 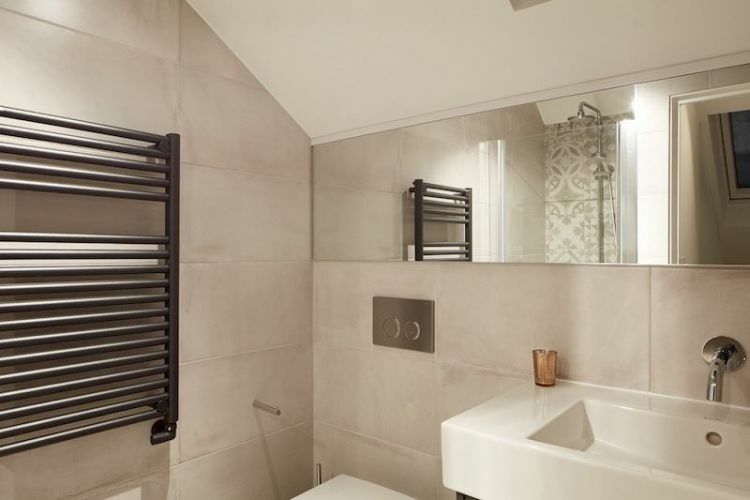 Houses are selected for levels of comfort, use of materials, and dramatic expression of traditional and contemporary architecture, as well as houses that capitalise on longer and warmer summers imposed by changing weather patterns in this corner of the globe. Houses are designed with indoor spaces and intimate courtyards for play and recreation that draw in light and shield from the extreme weather elements yet maintain an eye on sustainability and affordability. 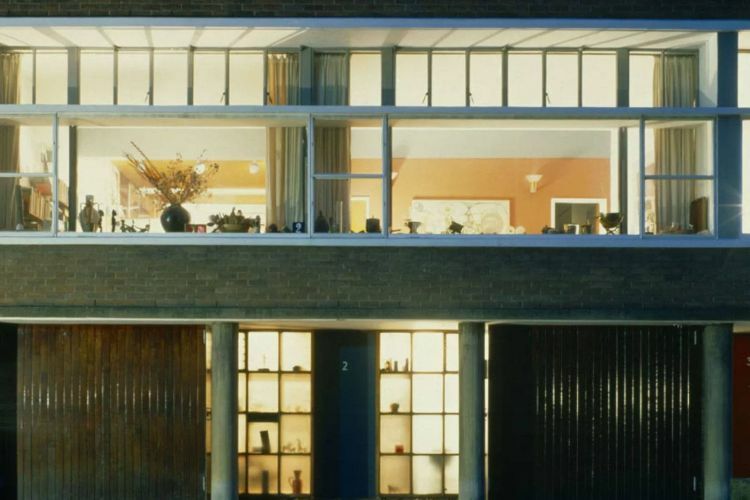 British + Irish Modern reveals a rich array of works that showcase how architecture in Britain and Ireland today has much to teach the world about creative, high-caliber design, innovative application of materials, and cautious but clever reliance on resources.